Andrew Alan Wilson earned a Bachelor of Science with a degree in electrical engineering from Colorado School of Mines during the 141st annual commencement on May 8. He did his senior project with a consulting company, Power Engineers, designing and testing an electrical substation. Wilson will begin his career with EPC Services as a field engineer in Denver. A native of Durango, Wilson is the son of Kelly and Valerie Wilson. He graduate from Durango High School in 2011. Jonathan Dameworth of Hesperus graduated with a Doctor of Medicine from Creighton University’s School of Medicine on May 16. Creighton University is in Omaha, Nebraska. The La Plata County Cowbelles have chosen Cole Crawford and Sage Mijares to each receive a $1,000 scholarship for the 2015-2016 school years. The La Plata-Archuleta Cattlemen have selected these students to each receive a $1,000 scholarship: Kaycee Bennett, Austin McMenimen, Austin Riley, Kelton Richmond, Morgan Schaaf, Michael Semler and Riley VanSoelen. This is the second year for the Phyllis Lee Memorial Scholarship, and the family of Phyllis Lee announce that Courtney Mael will be the recipient for the 2015-2016 school years. The Cowbelles and Cattlemen provide the scholarship program as a way to support local youths who are interested in agriculture. Applicants are judged on the quality of the application, academic achievements, extracurricular activities and contributions related to agriculture. The National Education Policy Center at the University of Colorado, Boulder, announced that Durango High School was one of 17 schools selected to receive the “School of Opportunity” designation. Schools that received this designation are recognized for their demonstration of a range of best practices that are built to ensure educational opportunities and always putting students first. The recognition of Schools of Opportunity is based on 11 specific principles identified by experts in the 2013 Oxford University Press book, Closing the Opportunity Gap. Specific practices include effective student and faculty support systems, outreach to the community, health and psychological support, judicious and fair discipline policies, little or no tracking, and high-quality teacher induction and mentoring programs. A list and description of these criteria are available at http://opportunitygap.org. 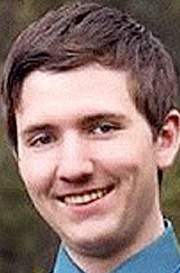 Rogan Brown of Durango graduated with a Bachelor of Science in mathematics degree in mathematics from the College of Engineering & Mathematical Sciences. AliciaRose Pastore of Durango graduated with a Bachelor of Arts degree in studio art from the College of Arts & Sciences. The University of Vermont is in Burlington, Vermont. GOAL Academy student, Teal Lehto, 18, has been chosen as a recipient of the GECKO (Giving Every Child Knowledge of the Outdoors) scholarship. This scholarship is awarded to students from the Four Corners who demonstrate leadership potential and value nature as an opportunity for learning. GECKO is sponsoring Lehto to attend a National Outdoor Leadership School course. For four weeks this June, she will be sea kayaking and backpacking in Alaska while honing her wilderness skills. Lehto has volunteered extensively at the local soup kitchen. She’s helped put up the city’s Christmas lights as well as handed out leaflets on the town sidewalks to promote a city sponsored raffle for Durango-based charities. Lehto worked as a volunteer for the local Snowboard Outreach program teaching at-risk students how to snowboard at Purgatory Mountain Resort. Last year, Lehto did an independent project working with Habitat for Humanity in Pagosa Springs. Academically, she currently has a 3.15 GPA. In addition to taking high school classes at GOAL Academy, Lehto participates in the concurrent enrollment program and attends Pueblo Community College. 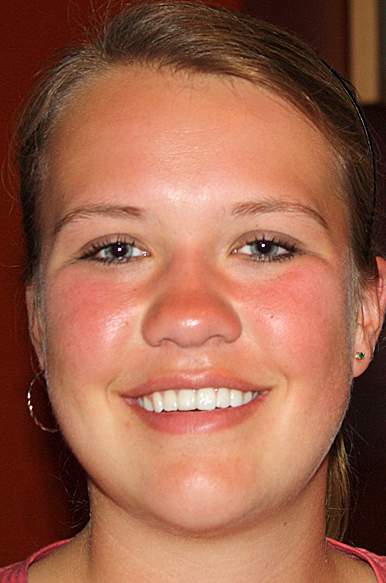 She has a passion for international and environmental studies and hopes to attend Cabot College in Rome. For more information, visit www.goalac.org or call (877) PRO-GOAL. The Durango High Noon Rotary Club was able to award $17,000 in scholarships to graduating area high school seniors and previous area students for their continuing education. These Durango High School students were awarded $1,000 scholarships: Justin Marcum, Claire Fenton, Jacob Skeath, Carter Janes, Markieah O’Rand, Nolan Reed, Christopher Jaworsky, Shaylah Wood and Ryan Heck. These Bayfield High School students were awarded $1,000 scholarships: Marley Weaver-Gabel, Katherine Ranier Ford and Jessica Willburn. These Animas High School students were awarded $1,000 scholarships: Erin Neale and Dan Cummins. An additional $1,000 scholarship funded by the local members of the American Society of Civil Engineers and screened by Durango High Noon was awarded to Erik Gonzales. In 2014, Durango High Noon Rotary established a relationship with the GET program to provide a testing scholarship program with San Juan Collage in an effort to assist students in need with a program to provide funding for the tests needed to finish its GED requirements. Durango High Noon is providing $1,500 towards these efforts. Recipients of the 2015-2016 La Plata Electric, John Voelker Memorial, Basin Electric Power Cooperative and Tri-State Generation and Transmission scholarships have been announced by La Plata Electric Association. The 31st annual LPEA College Scholarships, two four-year scholarships, have been awarded to Mallory Byrd and Shayla Wood, both seniors at Durango High School. Byrd, daughter of Sherell and John Byrd, plans to major in engineering and minor in studio art at Dartmouth College in New Hampshire. Wood, daughter of Kerry Wood-Dalsaso and Mike Dalsaso, is heading to University of Colorado, Boulder, to study architectural engineering. 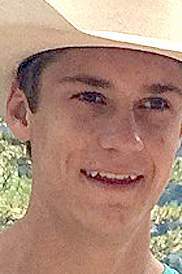 Durango High School seniors Bryan “BJ” Morgan and Josh Thompson have been awarded LPEA’s 15th annual John Voelker Memorial Scholarships, $10,000 for two years, for vocational, technical school or junior college. Morgan, son of Christy and LPEA Lead Meter Reader Collector George Morgan, will enroll in Front Range Community College, Westminster, and study business, while Thompson, son of Kelly and Charles Thompson, will attend San Juan College in Farmington to study automotive technology. 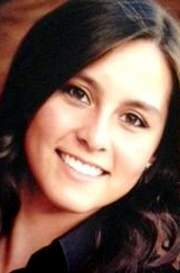 Vayle Townsend, a senior at Durango High School, received the $1,000 Basin Electric Power Cooperative Scholarship. With plans to attend Montana State University, Bozeman, Townsend, son of Thomas and Maria Townsend, is pursuing his blasting license with intent to become a certified blaster. The Basin Employee Dependent Scholarship of $1,000, granted to a co-op employee’s child, was awarded to Mackenzie Kemple, step-daughter of LPEA Meter Reader Collector Dusti Riggs. 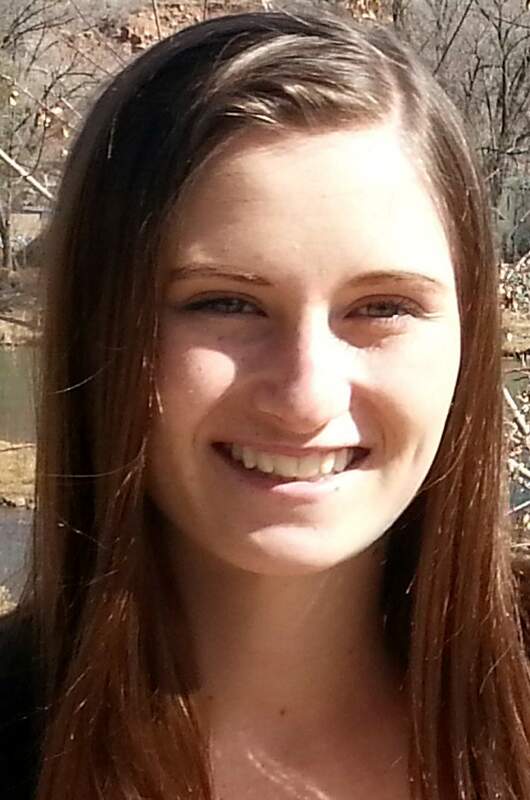 Kemple will attend University of Colorado, Denver, following her graduation from Piedra Vista High School in Farmington. 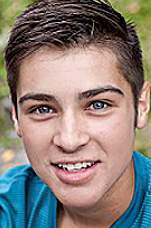 Ryan McInnis, a senior at Pagosa Springs High School, and Christopher Rodriguez, a senior at Durango High School, each received $500 scholarships from Tri-State Generation and Transmission Association. McInnis, son of Anette and Jeremy McInnis, intends to study mechanical engineering at University of Colorado, Colorado Springs. Rodriguez, son of Deloris Lopez and Alex Rodriguez, will pursue a career in chemical engineering at Colorado School of Mines. 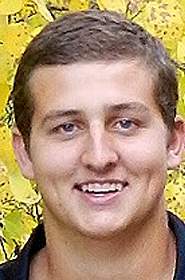 National Merit Scholarship Corporation announces Luke Samuel Fowler of Durango has been named a winner of National Merit Scholarships financed by U.S. colleges and universities. Fowler plans a career in theater and received the National Merit St. Olaf College Scholarship. St. Olaf College is a liberal arts college of the Evangelical Lutheran Church of America in Northfield, Minnesota. 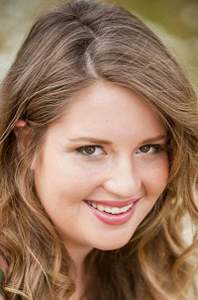 Aspen McKeever of Durango received a Bachelor of Science degree in chemical engineering with a minor in Hispanic studies from Carnegie Mellon University in Pittsburgh. McKeever has accepted a job with Occidental Chemical Corporation, and will be working just outside Nashville, Tennessee.